The Spring season will play at Union Terrace field and also Fountain Park field. Games will play on Tuesdays starting at 6:30pm each week. The bar sponsor for the season is TBA. 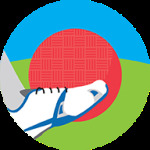 Check out this Kickball league '19SPR - KICKBALL - COED (RATIO (6:3) - UNION TERRACE/FOUNTAIN PARK (TUESDAYS)' with Lehigh Valley Leagues!